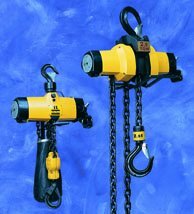 The Atlas Copco LLA Series Air Hoists are available in five sizes with lifting capacities ranging from 200 Kg 5000 Kg.Atlas Copco Air Hoists offer outstanding lifting performance and as standard are supplied with load hook, suspension hook and a control chain handle. 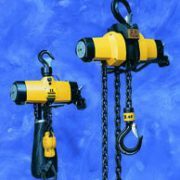 To meet the requirements of different applications the hoists can also be fitted with a wide range of optional accessories. Atlas Copco hoists are Ex certified spark resistant (Explosive atmospheres that require features that reduce the risk of spark) to level Ex II 2GD c T5 IIB T100°C and are in compliance with the EU ATEX Directive. 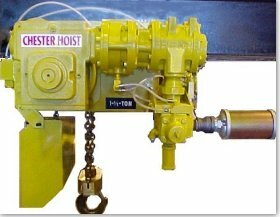 These hoists are suitable for applications where a clean environment is a necessity and can operate completely dry leaving no lubrication in the exhaust air which is perfect for use in food, chemical and pharmaceutical industries. 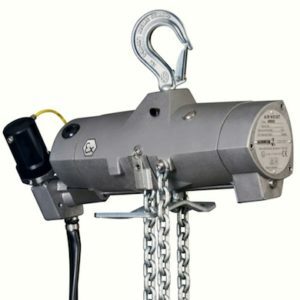 Ex-Certified air motors and hoists are ideal in hazardous environments,where sparks or high outer temperatures might otherwise ignite explosive gases, vapor or dust.